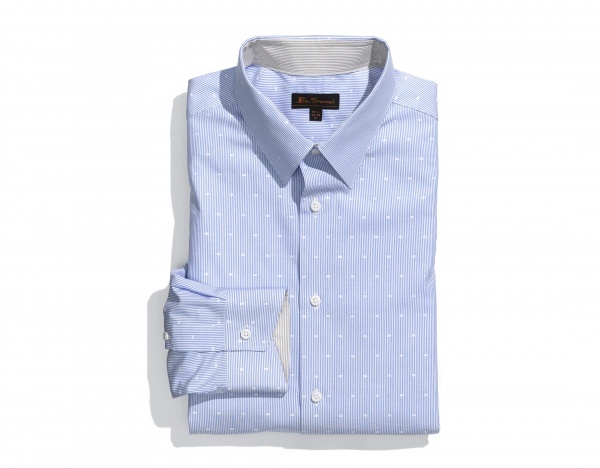 Ben Sherman adds a modern touch to your wardrobe with this trim fit dress shirt in a pale blue with white dots. Unique white rectangular dots recur, creating a wonderfully pale blue look that pairs well with a nice serious suit, or on its own on a sunny day. Available online now. This entry was posted in Dress Shirts, Tops and tagged Ben Sherman, Blue. Bookmark the permalink.